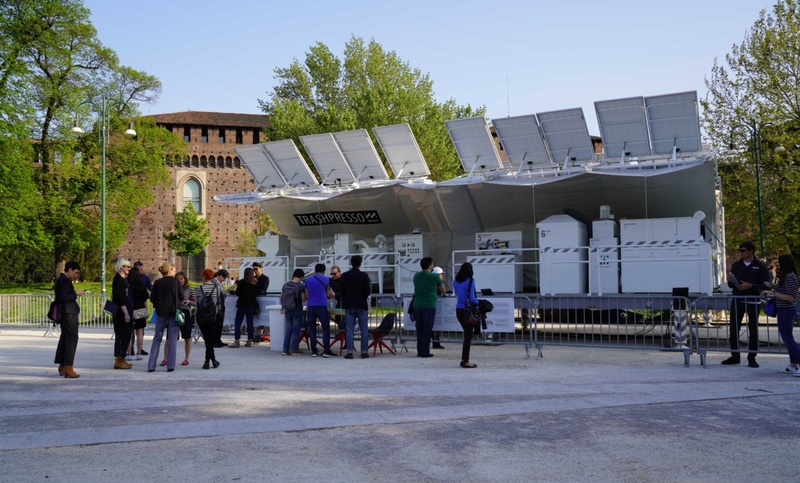 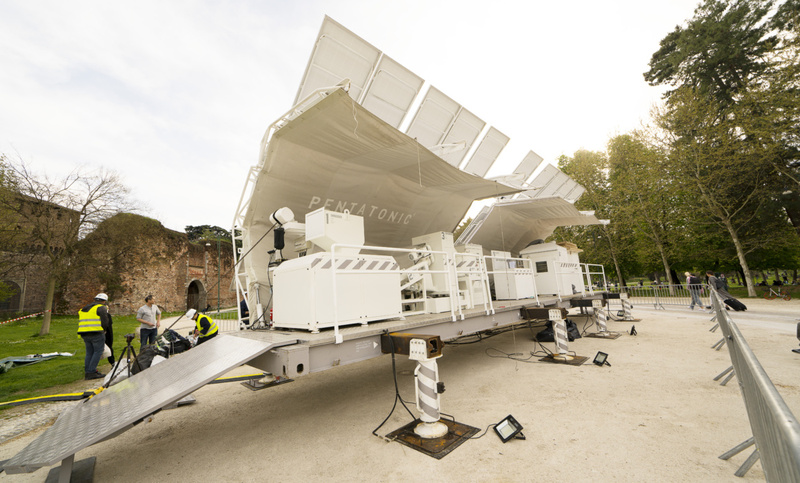 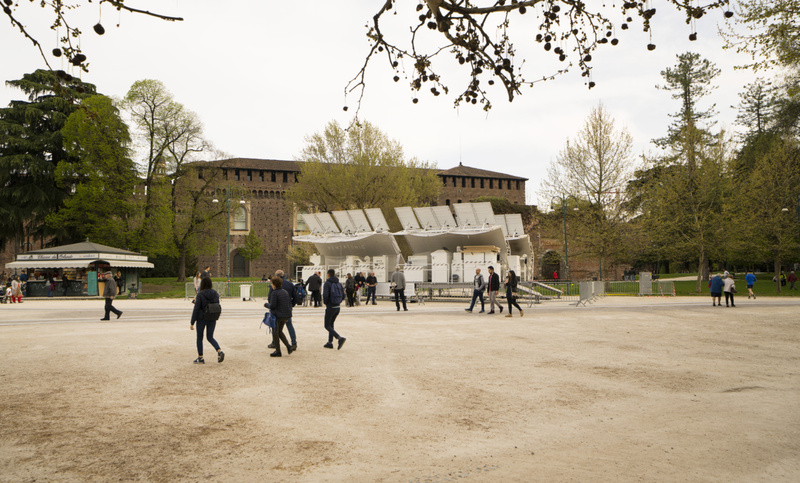 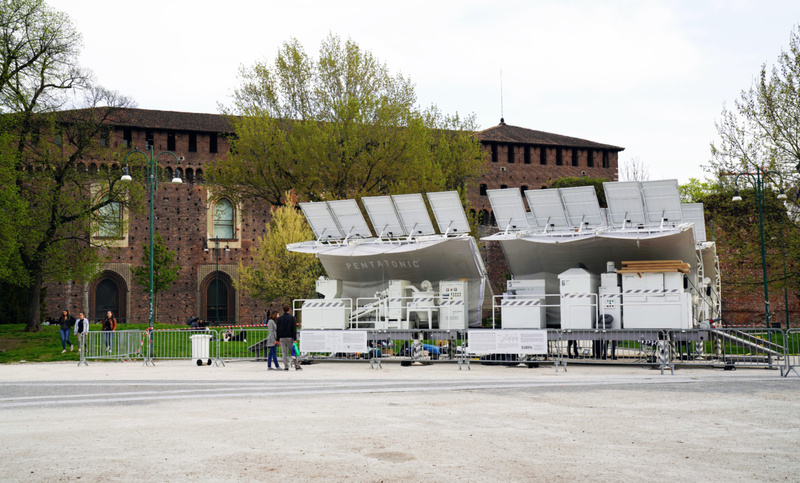 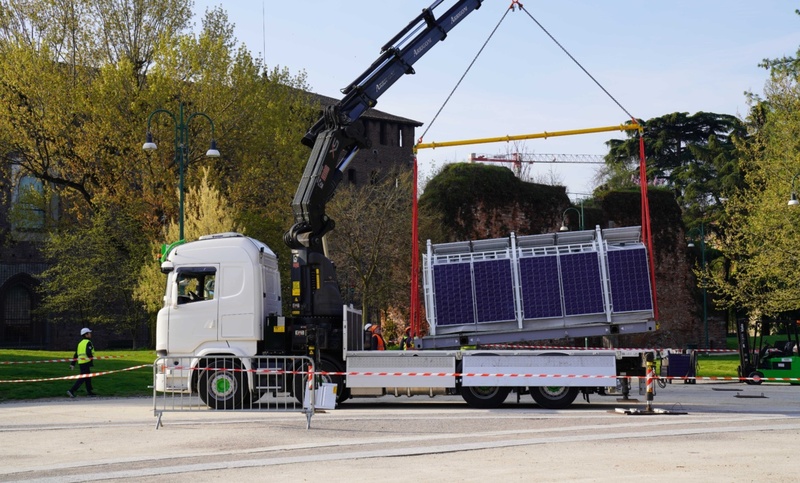 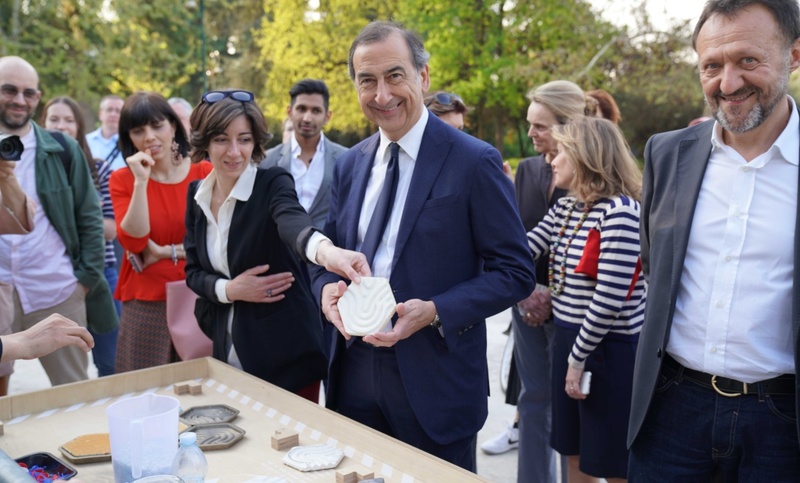 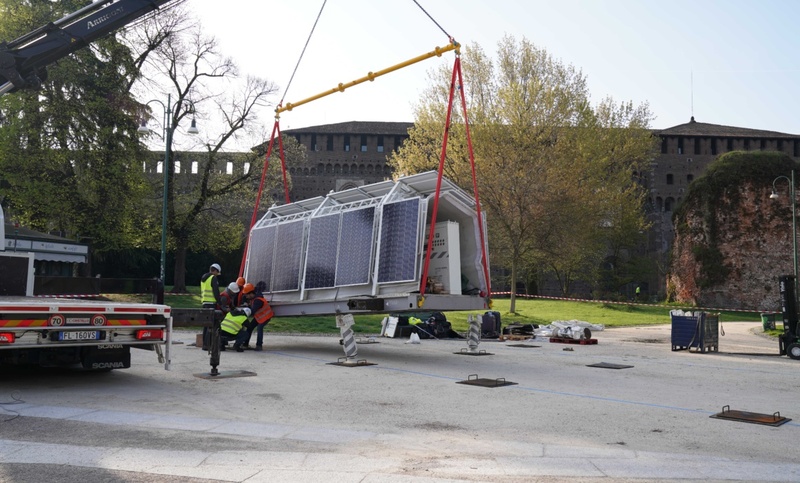 A slick white TRASHPRESSO traveled across the sea from London England to Milan (Italy), and participated in the square of Castello Sforzesco for Milan Design week 2018. 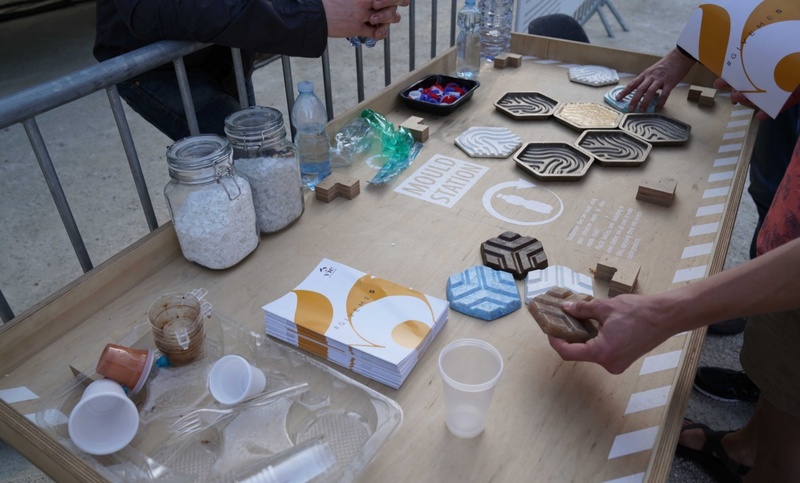 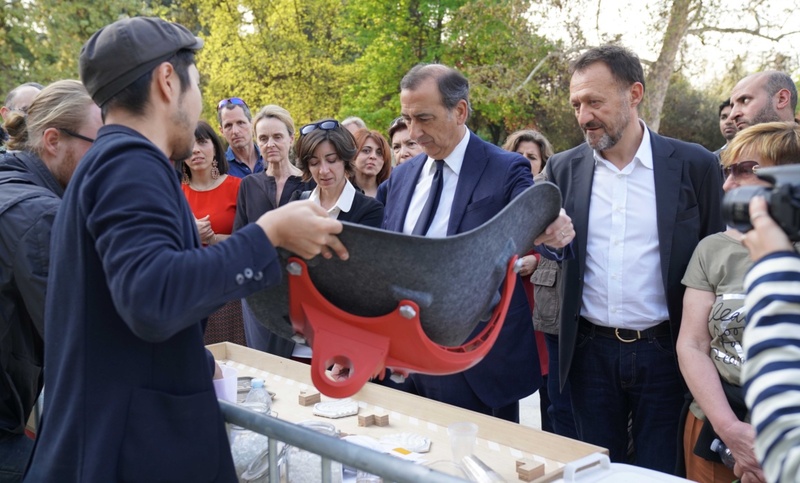 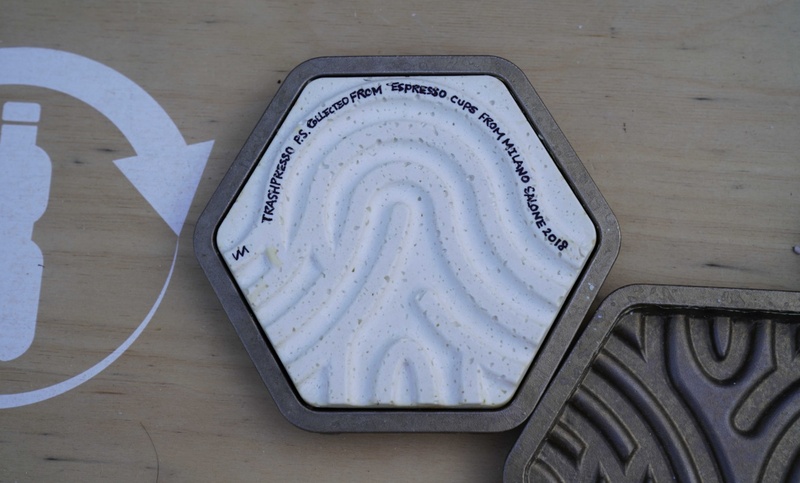 The MINIWIZ team used coffee cups and cutlery from local plastic waste that was transformed on-site into tiles. 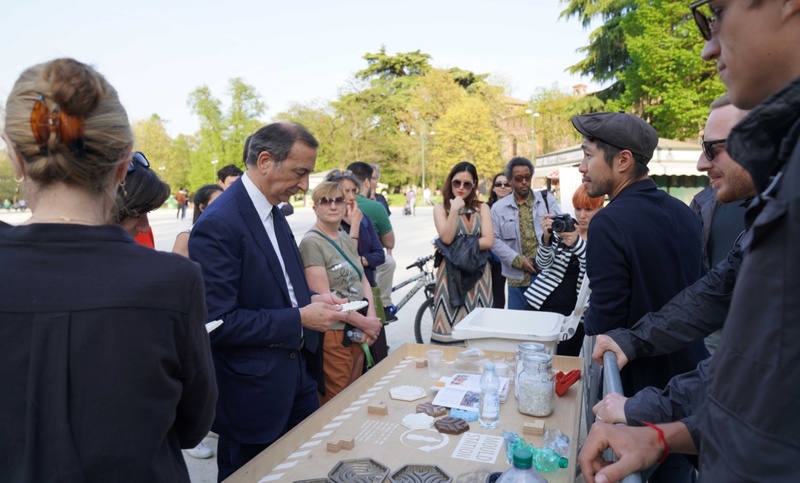 Demonstrating our philosophy and teaching visitors the importance of the economic cycle.